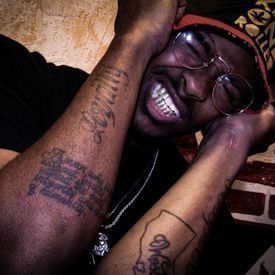 Yung Dedicated Is a 27 year old male rapper out of the California, Oakland, Bay Area. He has been rapping since the age of 12 years old, and is one of the few Lamp Lyfe Records Artist. He Is Also 1/2 Of The Rap/Hip Hop Duo Milli-Dedicated Along Side His Younger Brother Milli-Madik. "I plan to bring the world a new sound of music, love, honesty, good times, bad times, high times, and even low times.. THIS IS ME. . . EVERYTHING I DO IS FROM THE HEART"
Feat. Yung Dedicated, Milli Madik, C.Y, Yung Snow, Waylow Dow, A:J, Flawless, Skreal Of WCV & GatorFace.